Eminent film critic, author and researcher M.K. Raghavendra's latest book "The Oxford India Short Introductions: Bollywood" promises to be a must for all film enthusiasts. 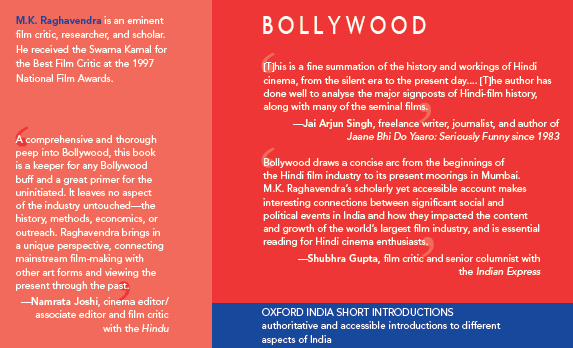 As soon as I learnt about the book I got so excited that I just couldn't resist the temptation of directly contacting the National Award-winning author whose earlier book "The Politics of Hindi Cinema in the New Millennium: Bollywood and the Anglophone Indian Nation" is already a personal favorite. Mr. Raghavendra has been kind enough to arrange for the readers of A Potpourri of Vestiges an extract from the book. Hope you all enjoy it. “The 1990s represent a period of transition for Hindi cinema because ‘Nehruvian socialism’ ended with the economic liberalization of 1991 and Hindi cinema changed track significantly after that.... While it is difficult to determine the trajectory of the Hindi film from the smaller kind of cinema the task becomes easier when one confines oneself to the big films – determined by budgets and the presence of stars. The first aspect of this new cinema to invite attention is the weakening of melodramatic motifs and the reason is that the moral side (implicating the notion of loyalty) is scarcely in evidence. To illustrate, friendship prevails in 3 Idiots but loyalty to it is not brought to crisis as a melodrama might have it; such films are not ‘morally legible’ as mainstream Hindi films inevitably were and this can be contrasted with the friendships in Sangam (1964) and Sholay which demand extreme sacrifices. As if to compensate there is a new ethic creeping in which is personal aspiration as in 3 Idiots, Bunty Aur Babli (2005), Guru (2007) and Kaminey (2009). These films celebrate enterprise but an aspect deserving special notice is illegality being installed as a legitimate component of enterprise in Bunty Aur Babli and Guru. The mood in these films – and much more so in Kaminey – is celebratory when they describe ‘aspirations’ of this kind. M.K. 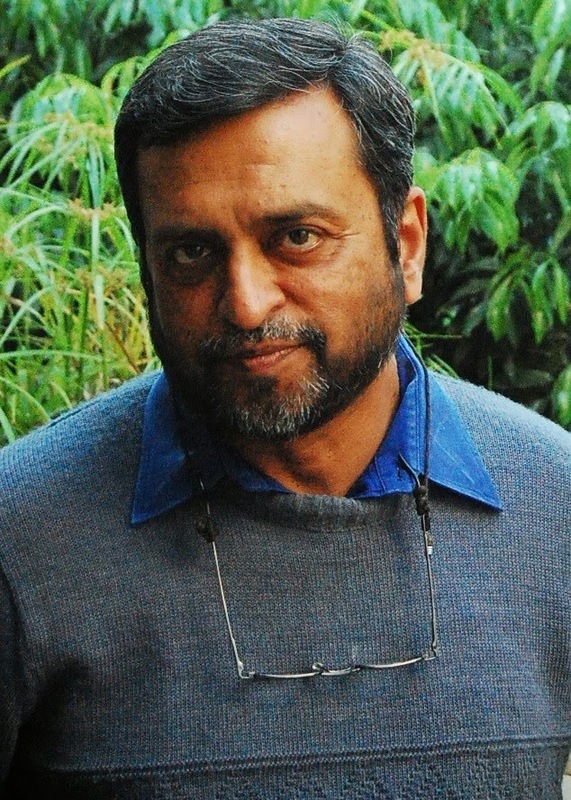 Raghavendra is an eminent film critic and researcher and has been the recipient of the National Award for the Best Film Critic, the Swarna Kamal, in 1997. 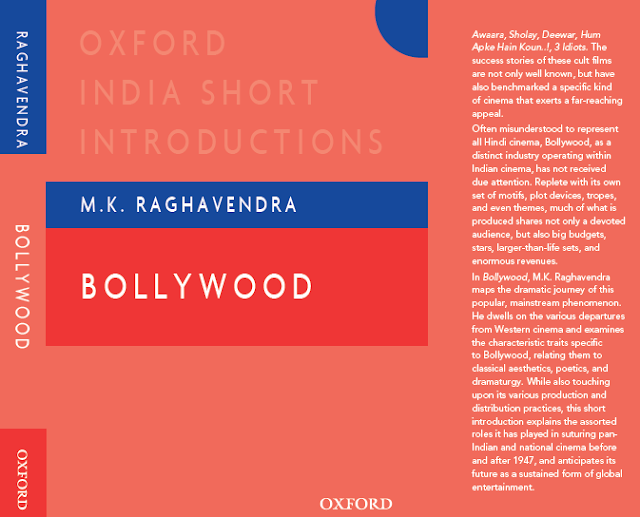 His most prominent publications include Seduced by the Familiar: Narration and Meaning in Indian Popular Cinema (OUP 2008) and Bipolar Identity: Region, Nation, and the Kannada Language Film (OUP 2011).